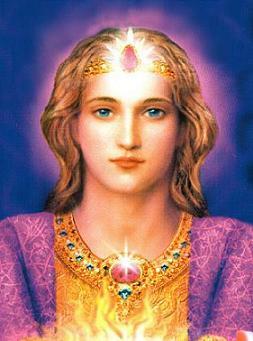 I AM the Great Divine Director, coming to you today. I AM coming to give you instructions and tell you the news from the etheric octaves. And this news is much more joyful than those Messages that we were giving during our winter cycle of the Dictations because the situation on the planet is changing for the better; and this change causes our joyful and reassuring feelings. Only several months ago our anxiety about the state of affairs on Earth was so significant that we could not miss the chance to warn you through our Messenger about the difficult situation. But now I have come to use the opportunity to tell you that the situation on Earth has improved significantly; and those changes, which had occurred in the consciousness of not too many people so far, have now spread at a truly cosmic speed and reached many people in different parts of the globe. We are very glad that we have managed to spread our information so quickly with the help of our Messenger, with the help of the Internet, and with the help of those devoted and unmercenary hearts that have sacrificed much to give the opportunity to as many people as possible and to acquaint them with these Dictations. We are also grateful to those who have translated our Messages into many languages of the world. The Heavens are truly happy with this state of affairs. Never before in recent history has the information that we are transmitting to the physical world been spread at such a speed. And that opens up a new opportunity for us and allows you to receive fresh information from our world. Divine mercy truly knows no bounds. And when the Heavens start cooperating with the devoted collaborators in incarnation, we reach such significant changes within a very short period of time, and those achievements can truly be compared to a revolution in consciousness and an energy breakthrough between octaves. Therefore, I am coming to you today to express my gratitude to each of you who responded to our call and not only changed your consciousness but also contributed to spreading our information in your physical octave as widely as possible. Now I would like to give you a short guidance concerning the present situation on planet Earth. From the previous Dictations you know how difficult the energy situation was at the end of the last year. It took truly enormous efforts to keep the balance and not to allow another destructive disaster. Now we are balancing the planet steadily. However, there is still no possibility for relaxation and celebration of the victory. This is because our success and achievements, the more significant and rapid they are, cause even greater opposition from those forces that do not want and do not welcome the changes. Therefore, there is no possibility of relaxing. It is still necessary to apply all the efforts and all of your abilities not to slow down the speed of spreading of our Messages, our information, and our energy. You can imagine a snow ball that is still growing in size and volume. But in order to make this happen, it is necessary to apply constant effort to push and roll this snow ball. That is why I am asking you not to stop but to act according to the impulse that appears within your hearts. Do not allow the burning spark to go out. Constantly get back to reading our Dictations, especially those that give you strength and the impulse for acting on the physical plane. We do not even ask you to pray; we ask you to act in your lives according to the knowledge and teachings received by you. The need for concrete actions is now placed in the forefront. You can feel how the energy contained in our Messages literally urges you to do concrete things on the physical plane. Therefore, it will be very important to apply your efforts correctly and not to allow the opposite forces to involve you in futile discussions and disputes. The time for empty talk and gossip is over. You should show the Heavens the extent to which you have learned the lessons that we have been giving through our Messenger for the past year, by your concrete actions on the physical plane. We are happy with the speed at which our Teaching is spreading, though we are not satisfied with the fact that still very few concrete actions are being taken by you on the physical plane. We are waiting for your actions of transformation on the physical plane. All non-divine things should be removed from your TV screens, radio airwaves, shelves of stores, and the Internet. You cannot struggle against non-divine manifestations but you can substitute Divine models for those non-divine manifestations. You are acting even if you refuse to watch non-divine programs and films, or take part in any negative manifestations that are still characteristic of your world. Thereby you stop creating karma, and by your right choices you work off your past karma, and by your right choices you also give an example to the people around you, especially to the youth. Do not worry about somebody doing something wrong. Show how to act correctly. It is always easy to judge. But when you judge, you create karma and multiply the illusion; but when you direct your energy in accordance with the Divine guiding principles, you create good karma and contract the illusion. Therefore, I have come to you today in order to remind you that each of you has taken certain obligations upon yourself before this incarnation. The time has come for a favorable opportunity for you to fulfill your mission. Turn to yourself, come into your heart, and try to understand the obligations that your soul has taken upon itself before your incarnation. You should recall those obligations of yours. If you work in the sphere of education of children and youth, most likely it is one of your duties to provide knowledge of the Law of this universe, as well as the moral Divine Law in an accessible form meant for the upcoming generation. If you are successful in business, perhaps the time has come for you to allocate your earnings correctly. Instead of an endless rush for useless things and pleasures, spend the money on creating training centers for children, adolescent youth, and their parents, and on building communities based on the new principles and free from the impact of negative vibrations and factors that are characteristic of your society today. Therefore, starting any constructive Divine activity depends only on you. Nobody will fulfill your obligations for you. However, on our part, we promise to give you all the help you need. Just ask for that help and do not hesitate to turn to us in your letters and prayers. It is just the beginning of the commonwealth of Heavens and the physical plane; and very soon you will see how fruitful that cooperation may be. In the end, I would like to pass you the impulse of my Faith and my Confidence in you and in the maximum efficient fulfillment of your obligations. I AM the Great Divine Director, with Love to you and Faith in your success!